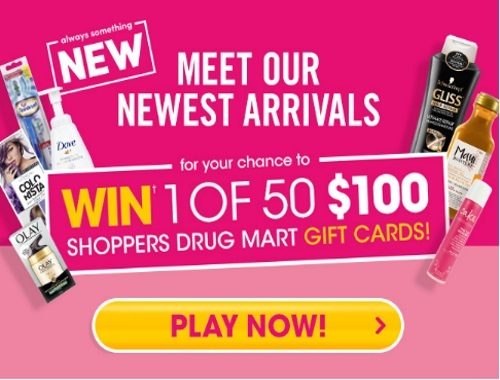 Meet the new arrivals at Shoppers Drug Mart for a chance to win 1 of 50 $100 Shoppers Drug Mart gift cards. You will receive 1 entry for each riddle that you correctly answer up to a maximum of 50 entries. Contest closes March 24 2017.